Robin Wallace discusses Hearing Beethoven: A Story of Musical Loss and Discovery. A Q&A and signing will follow the discussion. About the book: We’re all familiar with the image of a fierce and scowling Beethoven, struggling doggedly to overcome his rapidly progressing deafness. That Beethoven continued to play and compose for more than a decade after he lost his hearing is often seen as an act of superhuman heroism. But the truth is that Beethoven’s response to his deafness was entirely human. And by demystifying what he did, we can learn a great deal about Beethoven’s music. 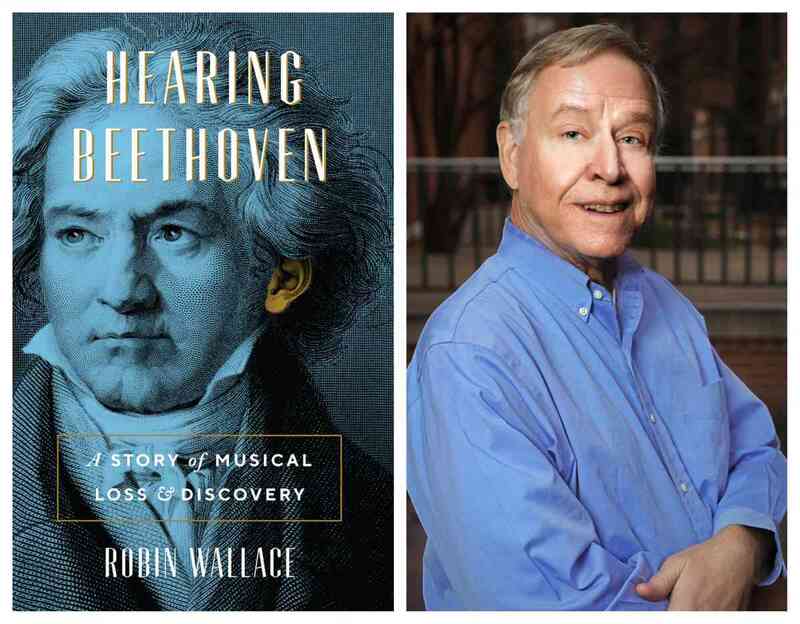 Perhaps no one is better positioned to help us do so than Robin Wallace, who not only has dedicated his life to the music of Beethoven but also has close personal experience with deafness. One day, at the age of forty-four, Wallace’s late wife, Barbara, found she couldn’t hear out of her right ear—the result of radiation administered to treat a brain tumor early in life. Three years later, she lost hearing in her left ear as well. Over the eight and a half years that remained of her life, despite receiving a cochlear implant, Barbara didn’t overcome her deafness or ever function again like a hearing person. Wallace shows here that Beethoven didn’t do those things, either. Rather than heroically overcoming his deafness, as we’re commonly led to believe, Beethoven accomplished something even more difficult and challenging: he adapted to his hearing loss and changed the way he interacted with music, revealing important aspects of its very nature in the process. Creating music became for Beethoven a visual and physical process, emanating from visual cues and from instruments that moved and vibrated. His deafness may have slowed him down, but it also led to works of unsurpassed profundity. Wallace tells the story of Beethoven’s creative life from the inside out, interweaving it with his and Barbara’s experience to reveal aspects that only living with deafness could open up. The resulting insights make Beethoven and his music more accessible, and help us see how a disability can enhance human wholeness and flourishing. About the author: Robin Wallace is professor of musicology at Baylor University. He is the author of Beethoven’s Critics and Take Note: An Introduction to Music through Active Listening. About the interlocutor: Nina Kraus is professor of communication sciences and neurobiology and the Hugh Knowles Chair in the School of Communication at Northwestern University. She is a scientist, inventor, and amateur musician who studies the biology of auditory learning.